We’ve come a long way since we took down the highly successful YORGOO – Free Traffic, Free Leads – a forerunner to many traffic generating programs at the time. The article I wrote then featured a tiny picture of an icebear going into his winter sleep. Little did we fathom that it would be such a long one – but the reality is that – over the course of those few yet crucial years – the whole Internet changed. Drastically so. However, now YORGOO is back – in a completely different format, with a different purpose and vision – all of which was the focus of the Ycademy Seminar March 2015. Enter the NEW YORGOO! With so many ground-breaking developments on the Internet, it was a tiresome journey to get YORGOO up and running again as – with the sudden appearance of Facebook and other Social Media – the entire online leads- and client-getting ball game changed. And this at an incredible speed. While traffic and leads will always remain the Internet’s underlying mantra, the many traffic programs and strategies we had used so efficiently were – simply put – a thing of the past. And once we digested that major change on the Internet highway, and got to work again to create a new YORGOO… the mobile tsunami with iphones, ipads, smartphones and so forth – burst over us. And this changed the rules of the game again. Massively and profoundly so… and it will continue to do so! There will be no standstill… that we know! These often frustrating yet also exciting developments on the web forced us to constantly keep up with new changes, adapt, and learn and refine new skills – and this is exactly what we did with a vengeance over the past years – fighting and persisting when the hacking of precious websites got just too unbearable – but we never lost the dream, the hope, the vision of a NEW YORGOO… A YORGOO that would be different. A YORGOO that would still have the thumb on the pulse of the Internet: Traffic and Leads… but now it would be the real thing: Traffic and Leads by Design! At the March Seminar 2015, all Ycademy Pros and YORGOO Shareholders got a special status: a Developer Membership including the possibility to build multiple websites on the new YORGOO Platform with the most secure and advanced hosting facilities available for WordPress based websites. 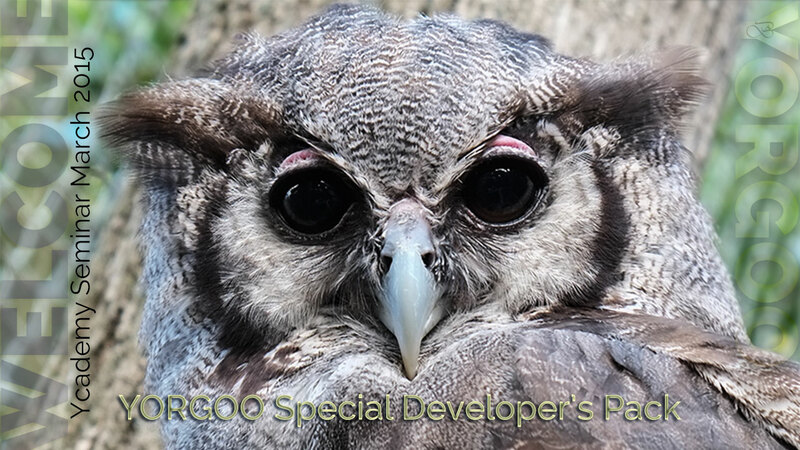 The privileged YORGOO Developer account gives access to the most professional software and themes available for WordPress based development and will save hundreds of dollars in licensing and hosting fees. More importantly, YORGOO guarantees professional hosting and software management as well as the most advanced security and backup features. specific site, provided such software is designed for WP multi-site. Small fees may apply. YORGOO website are used, development and editing work flows have become more efficient and professional. While content remains king, presentation is and will always be equally important – especially in view of the mobile web. There is no way around familiarizing and aligning ourselves with the many different screen sizes and screen resolutions. Hence, information architecture and its translation into efficient layouts and linking are of paramount importance. The March Seminar 2015 guided all participants through the YORGOO Dashboard for web developers in order to create a sample website based on templates, snippets and short-codes, and much more. More information will be shared at the post-seminar calls and participants are encouraged to start working on the new YORGOO platform. Meanwhile, the first website I created on the New YORGOO publishing platform is here: Richard J. Gunston – Sculptor. I will report on this in my next mail.